The Active Brake Line is comprised of DC operated single-disc brakes where the dynamic effect of an electromagnetic field is used to generate the braking effect (electromagnetically engaged brakes). Active Brake Line products ensure a reliable brake release with zero residual torque in any mounting position and zero backlash during torque transmission. These brakes require little maintenance throughout their entire service span. 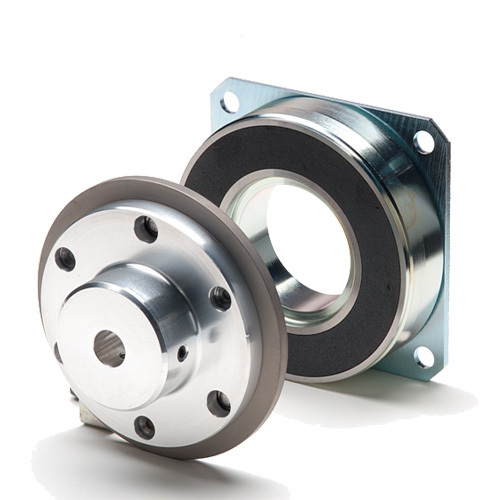 Upon request, the brake can be supplied with variable armature systems (shaft coupling).